Despite significant development progress during the last few decades, maternal health indicators in Kenya remain at disappointing levels. This is particularly true in the many rural parts of Kenya, where the majority of women deliver at home without a skilled birth attendant and far from any emergency obstetric care facilities. This has led to a high rate of obstetric fistula in Kenya and more regional health centers are needed to conduct outreach and treat women in these areas. The swelling population of refugees along the Somali border adds another layer of difficulty in providing access to healthcare to women in that area. We partner with Astellas Pharma Europe on the Action on Fistula program at Cherangany Nursing Home, WADADIA, Kisumu East District Hospital, Gynocare, Maisha Empowerment Initiatives, Daraja Mbili Vision Volunteers, Wamba District Hospital, Bomu Hospital and Isiolo Development Project. We provided grant support to JOOTRH through Direct Relief. We provided grant support to Somali refugees in Dadaab refugee camp through Women and Health Alliance International (WAHA). 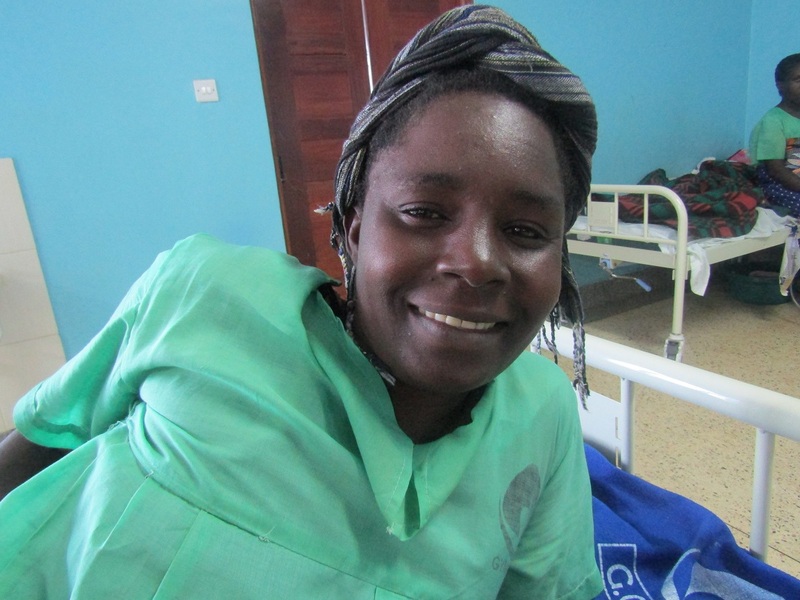 We provided grant support to Gynocare Fistula Center in 2011 through One by One. 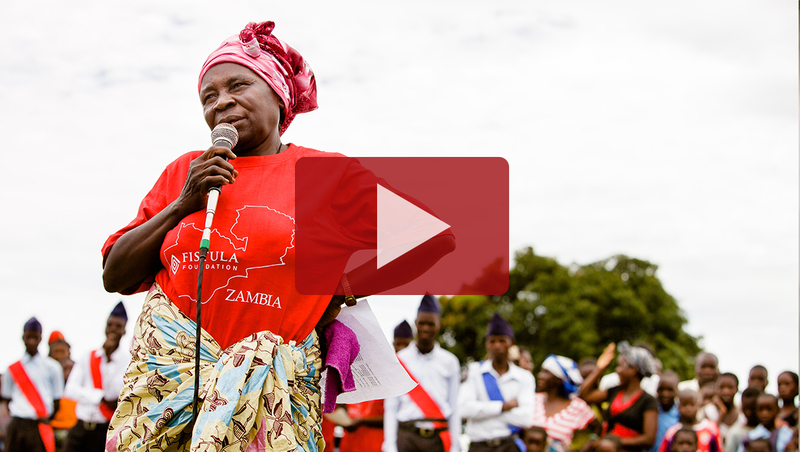 We now provide grant support directly to Gynocare through our Action on Fistula program. We provided grant support to Jamaa Mission Hospital through Edelvale Trust. How will this help women in Kenya? Jaramogi Oginga Odinga Teaching and Referral Hospital (JOOTRH, formerly known as Nyanza Provincial General Hospital) was established in Kisumu over 100 years ago and is the primary referral hospital in the area. Until we partnered with them in 2010, the hospital was only able to treat fistula during periodic clinics that were held throughout the year, limiting the total number of women they could treat. Today, JOOTRH is able to offer fistula surgery as part of its routine hospital services thanks in part to support from Fistula Foundation. Dadaab is the biggest refugee camp in the world. Established in 1991 to host up to 90,000 refugees, the camp is now a temporary home for half a million people. Most of the refugees have fled from neighboring Somalia following years of drought, famine and long-term conflict and instability. Maternal healthcare infrastructure is virtually nonexistent in Somalia and stretched to the limits in Dadaab, putting women of childbearing age there at high risk for obstetric fistula. 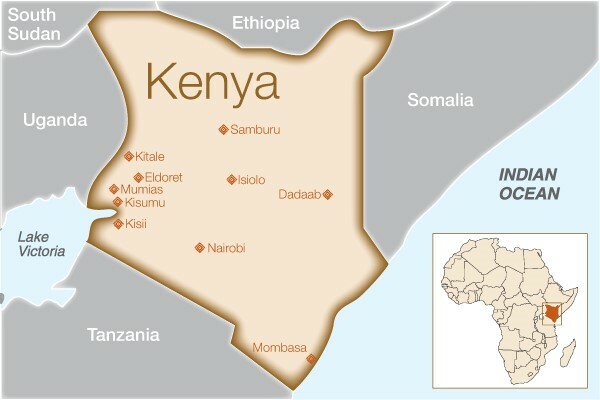 It is impossible to estimate the rate of fistula prevalence within the camp, but women who are diagnosed as having a fistula are generally sent to a hospital over 250 miles away in Nairobi. Funding from Fistula Foundation helped to pilot a program to make treatment more accessible by identifying patients at Dadaab District Hospital and referring them for treatment. Our support also helped equip the camp’s medical unit with necessary supplies and medical equipment, provide training to staff, and conduct outreach. Jamaa Mission Hospital was originally opened by a group of nuns in the early 1970s with the mission of helping marginalized girls and young women. It has since grown into a general and well-respected Nairobi hospital facility but remains deeply committed to medical issues affecting women, especially fistula. In conjunction with Edelvale Trust, Jamaa plans to increase the number of fistula surgeries this year to over 200, improve outreach though media outlets as well as churches and community organizations, and increase the number of trained local surgeons. We also provided an additional grant through Action on Fistula. Action on Fistula is a partnership between Fistula Foundation and Astellas Pharma Europe Ltd. that will deliver €1.5 million over the next three years to treat and transform the lives of women suffering from fistula in Kenya through surgeries, surgeon training and a major outreach program to identify and deliver treatment. Click here to learn more about this campaign. The mission of Women and Development Against Distress in Africa (WADADIA) is to design and implement programs that empower the poorest of the poor women in western Kenya to ensure maximum and sustainable resource utilization for economic development. WADADIA is a key outreach partner in our community sensitization and patient recruitment efforts. Their efforts are focused in three counties in western Kenya and have already resulted in many women receiving free surgical treatment who otherwise would have gone without. Kisumu East District Hospital is a Fistula Treatment Network partner through Action on Fistula. Our support helped establish fistula treatment services there as of August 2014, and enabled the facility to refurbish a previously unused operating theater with new equipment that will be used to provide fistula surgeries. Gynocare Fistula Center was opened by Dr. Hillary Mabeya in June 2011 to provide holistic care and treatment for women living with fistula in Kenya. It is based in the town of Eldoret in western Kenya, an area with a high prevalence of fistula. Since opening four years ago, the 24-bed facility has provided fistula treatment for over 1,000 women, making this center the most productive in the country. In June 2014 it was also certified as an official training site by the International Federation of Gynecology and Obstetrics (FIGO), who manages a fistula surgeon training program with funding provided in part from Fistula Foundation. Founded in 1987, Disciples of Mercy (DoM) is a mission organization based in Kisumu aimed at improving the lives of impoverished Kenyans. With funding through Action on Fistula, DoM is conducting community outreach to help identify new patients through sensitization campaigns, radio and TV ads, and mobile technology. Daraja Mbili Vision Volunteers is a small, grassroots organization based in Kisii. Their main work is with pregnant and vulnerable women, and through Action on Fistula they are conducting outreach and aim to refer at least 100 women for treatment this year. Wamba Catholic Hospital was started in 1967 as a small health dispensary by Italian missionaries and has since grown into a referral hospital for Samburu and neighboring counties, an extremely arid region with dry, hot, and dusty roads and poor infrastructure. It is a 200 bed mission facility that offers a wide range of health services, which will now include fistula surgery as a result of this grant. The hospital aims to conduct 40 free surgeries during its first year in our Fistula Treatment Network. Bomu Hospital serves Mombasa, Kilifi and Kwale counties, where health services are generally poor. The hospital has a state-of-the-art operating theater and will now be able to offer fistula surgery on a routine basis. During its first year in our Fistula Treatment Network, Bomu Hospital aims to conduct 50 surgeries and will launch an outreach campaign in the region through its network of 100+ community health workers. Isiolo Development Project was founded in 1989 (officially registered as a community-based organization in 2003) and works with a cluster of other organizations focused on health, education, water and sanitation, and livelihood development projects in Samburu, Isiolo and Marsabit Counties, with a specific focus on women and children. Isiolo Development Project is an outreach partner in our Action on Fistula program – they aim to train 55 community health workers to sensitize communities about obstetric fistula and to identify and refer at least 40 women living with fistula for treatment at Wamba Catholic Hospital. Sources: Sources: CIA World Fact Book; WHO, World Bank.